Special thanks to Bloomsbury Publishing and Fairchild books for providing such a great giveaway prize in association with #Blazerof2016 and thank you to every one who left such lovely comments. I’ve really enjoyed reading about what you are all getting up to. 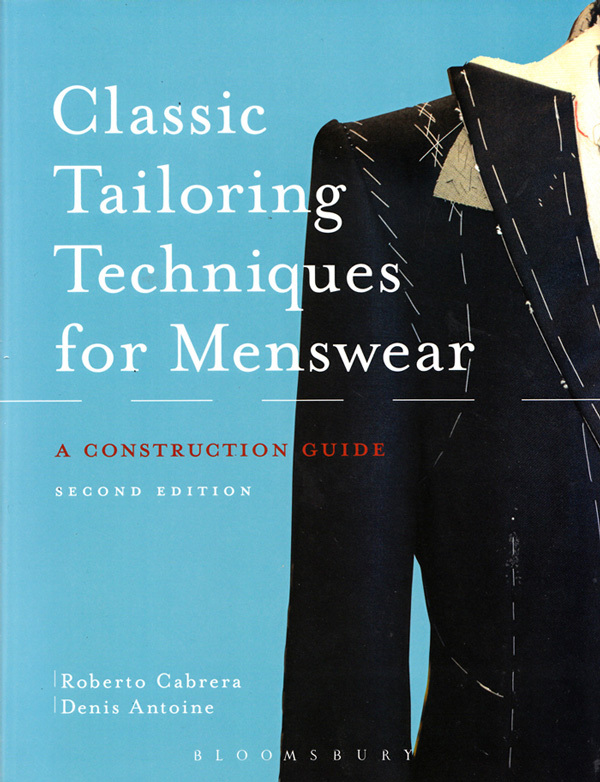 Remember you can still get hold of Classic Tailoring Techniques for Menswear at Fairchild Books along with a whole host of fabulous fashion books. My copy is already proving to be my best friend already. In other news I finished a 3rd By Hand London Sabrina dress, yesterday. And it fits! So I’ll be back sometime soon this week, hopefully, with some pictures and a post. Oh I do love a bank holiday! 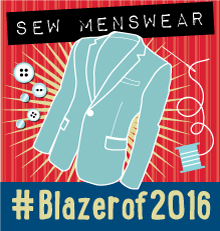 So this week, I finally chose what pattern to use for #Blazeof2016. 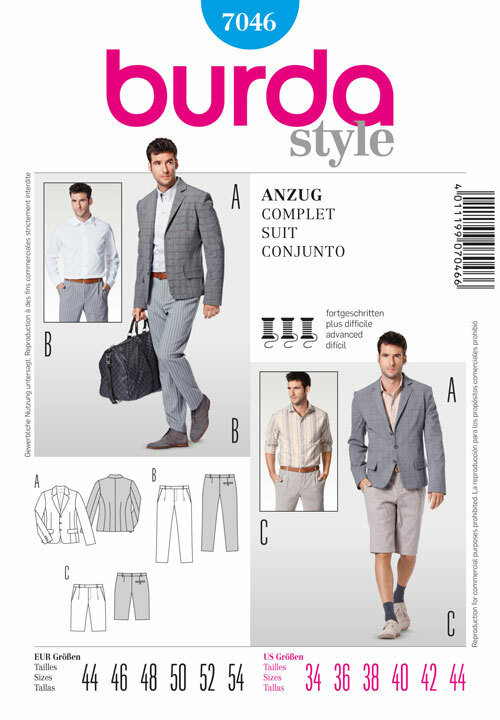 I’ve decided to make it extra difficult for myself by going for the minimal instructions of the Burda Style magazine pattern from February 2016 issue, and I’ve just got as far as tracing the pieces. It took most of Saturday afternoon but that’s ok because I had an empty house save Phryne Fisher and Jack Robinson to keep me company! The tracing took longer than usual not just because of all the pieces but because I was aware of how easy it would be to miss a notch or a mark of instruction. So I was like a detective myself, scanning the spaghetti lines with eagle eyes! 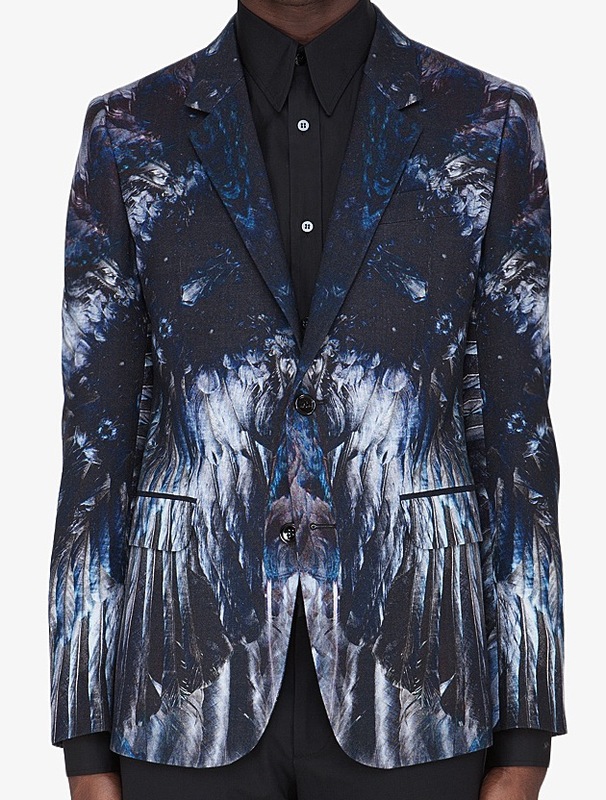 I want this jacket to work so I need to make sure every detail is attended to. It didn’t help that the red lines on the pattern sheet I was following clashed with the red pattern pieces of the featured ladies blouse. 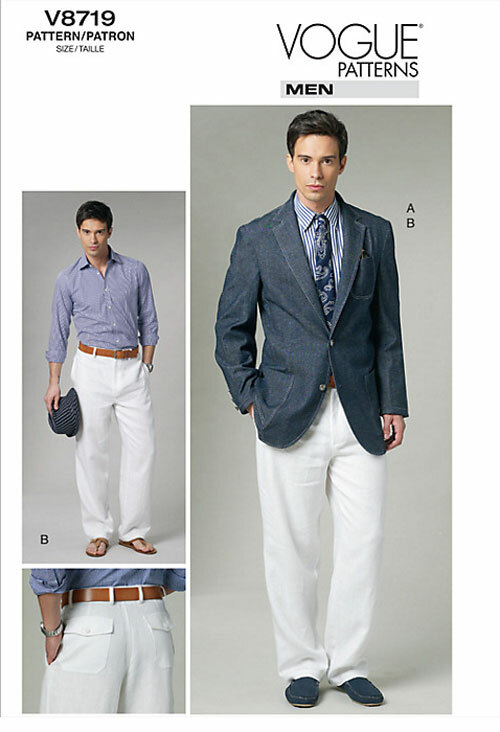 This could wind up a very interesting hybrid ‘blouzer’, but let’s hope not! 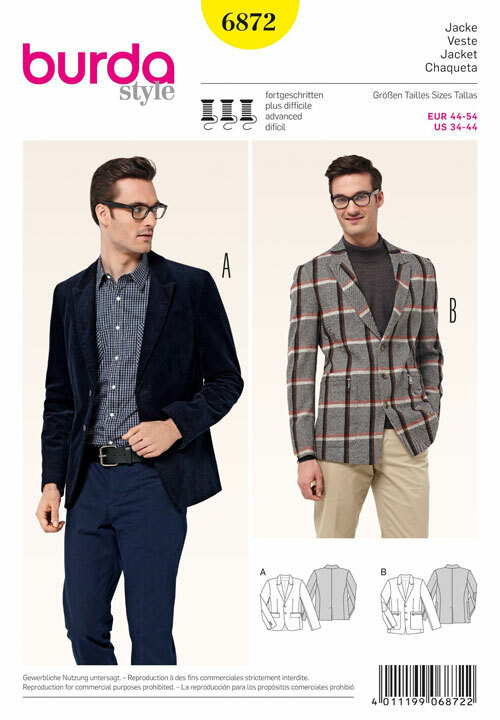 *I will be making size adjustments to the pattern so I have left the seam allowance off. It’s way easier to play around with minus SA. And then I will either add it at the end or mark it directly onto the fabric when the pattern is pinned on. 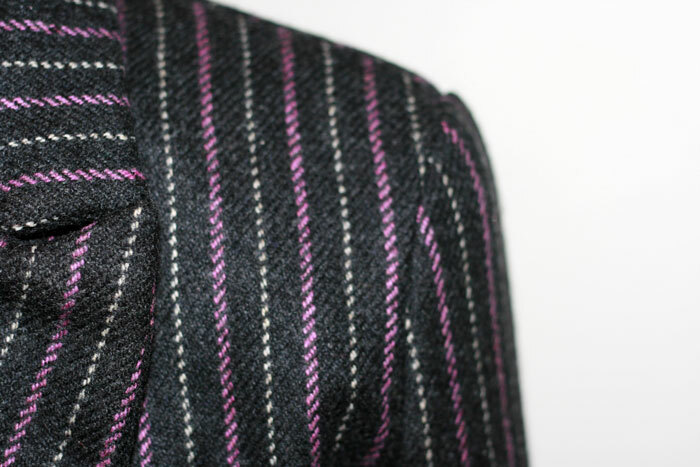 Incidentally, the fabric we’ve decided on is a gorgeous traditional boating stripe from Yorkshire Fabrics. 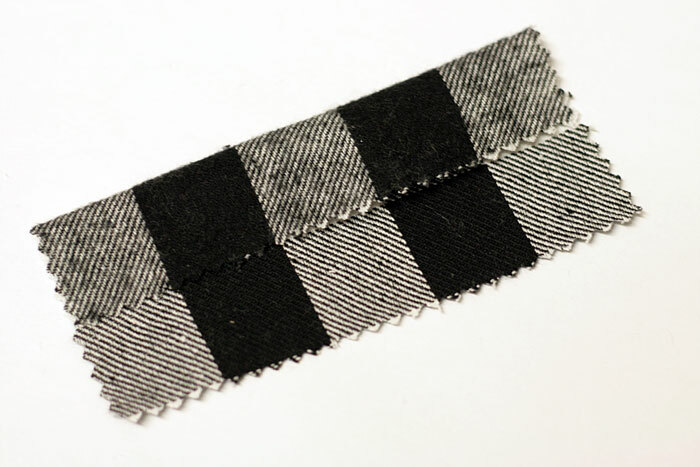 100% wool, made in England which raises a little smile every time I see that selvedge! Doesn’t come cheap so I’ve wrapped it up like a precious swaddled baby and put it away for safe keeping until the calico version is made good. No chances being taken here! I really am in the slow lane here but there is a distinct advantage to this. 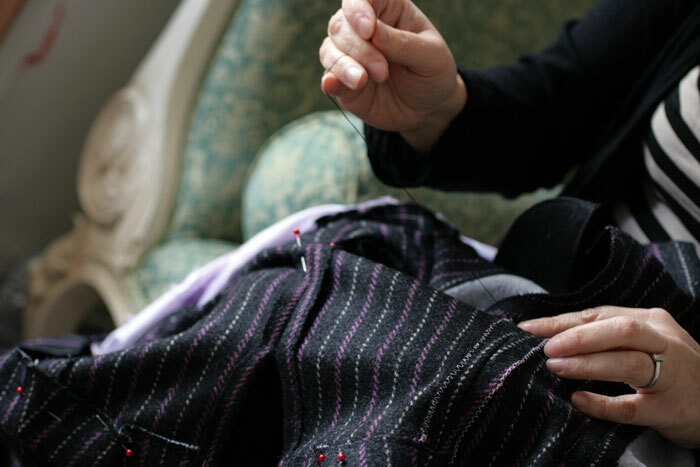 Have you seen how MaleDevonSewing is steaming ahead with his amazing tailoring skills? For anyone else who is pootling along like me, he has posted some cool construction photos and instructions. Most of which I’ve never heard of. 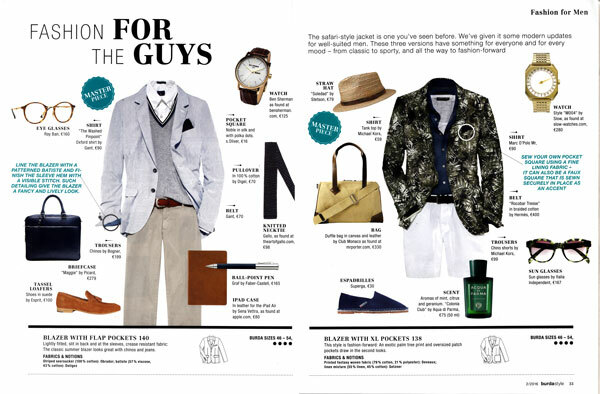 All of which I will be employing! 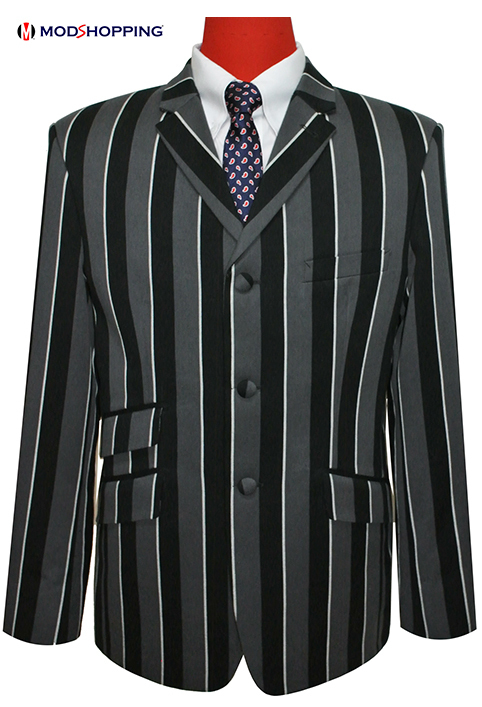 First I must thank you all for your lovely comments on my initial post about the finished jacket. 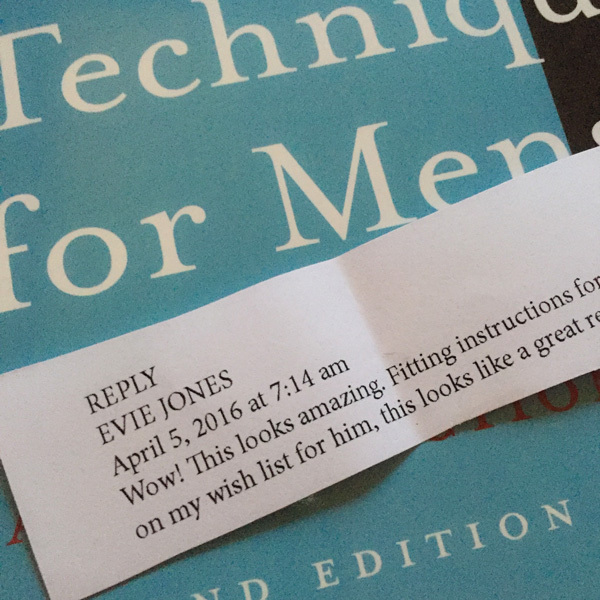 I’m so touched and I love that warm and fuzzy feeling I get when they find their way into my mailbox! So as promised, here is some nitty gritty detail from the project for those that might be considering this jacket for the first time. Though I am pleased overall, with the results. 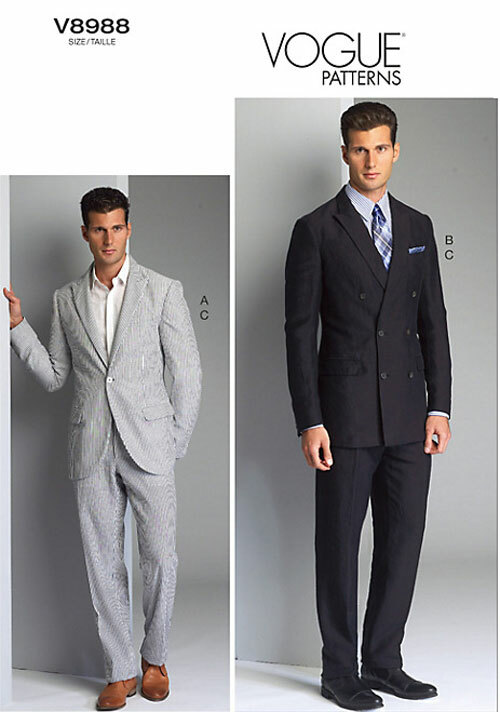 I can’t help being niggled that more tailoring techniques weren’t employed. 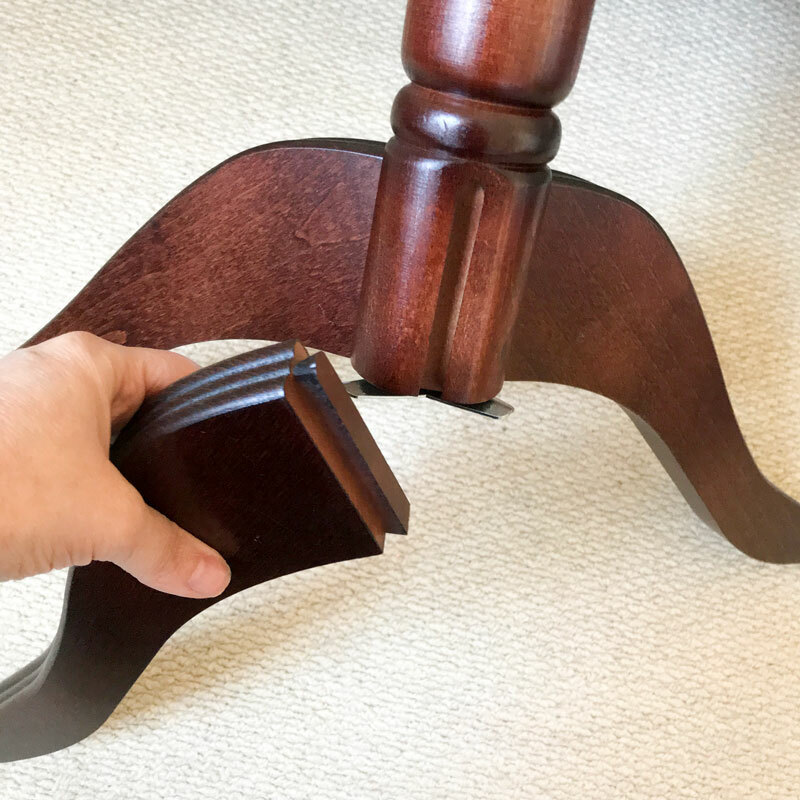 I’ve only myself to blame. I could have researched them myself but there’s always a next time! 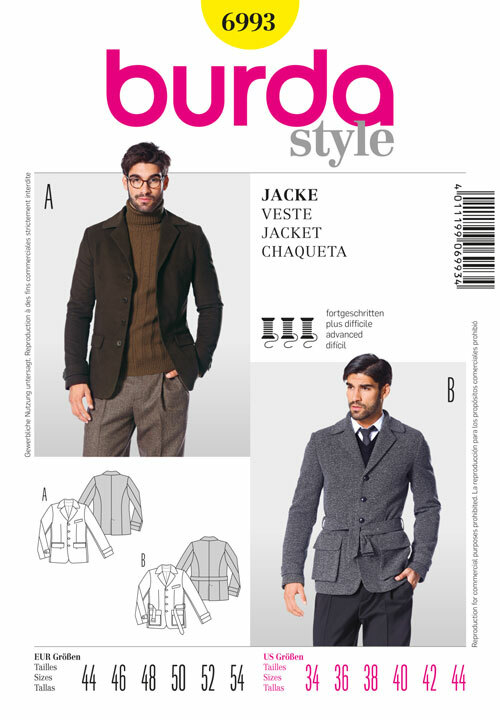 The jacket is cut from pieces #131, Burda Style magazine 11/2010 but the construction details are from #130. 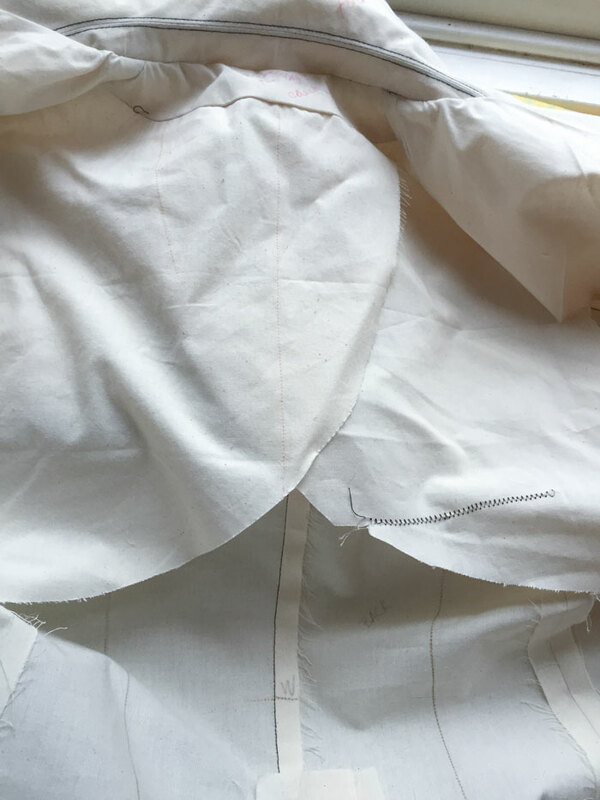 The only difference being that I chose the full length sleeves with vents… and proper working buttonholes… glutton for punishment, me! 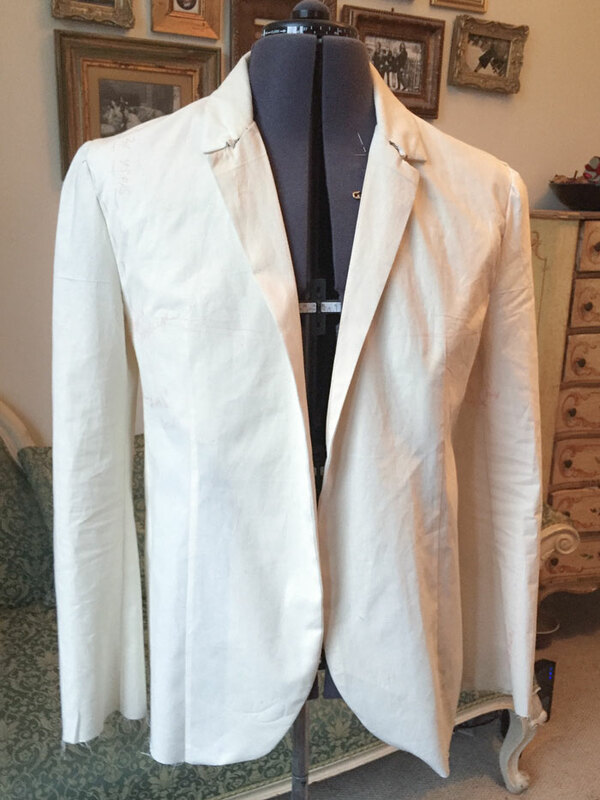 I made the toile back in February and was intending to make adjustments to the waist only. But I got worried about it’s ‘snugness’ and just went up a size in the end. A little bit chicken perhaps, but also concerned that I was more likely to be wearing a few layers underneath in the colder months! 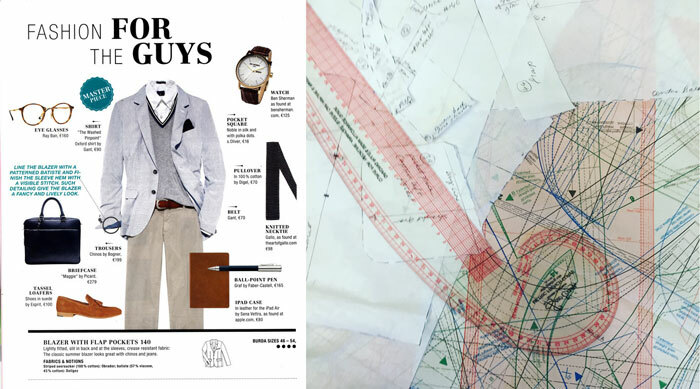 It is essential that you make a toile. There is so much work involved in this, you don’t want to get to the end to find it doesn’t fit!!! My first slip up, that I DIDN’T clock until I got round to dealing with it, was the back vent. I am so used to adding the statutory 15mm seam allowance to each edge that I clean forgot to add 4cm as specified, to the vent openings. Doh. I could kick myself. It doesn’t look so bad in the photos but I know that it isn’t created properly. It is intended as a ‘split’ but would have been so much neater with an interfaced proper allowance. So please remember to do this if and when you cut yours! I would even go as far as to make it a vent rather than a split. But that opens another can of worms with the lining! back split that really wants to be a vent! 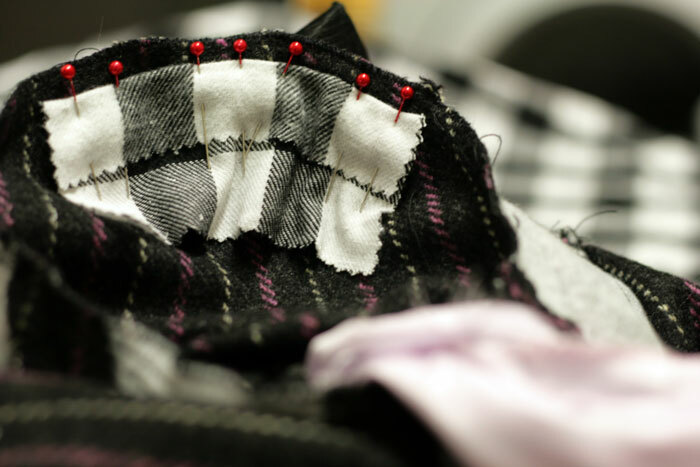 The miniature pattern layouts indicate what pieces are to be interfaced with fusible interfacing. 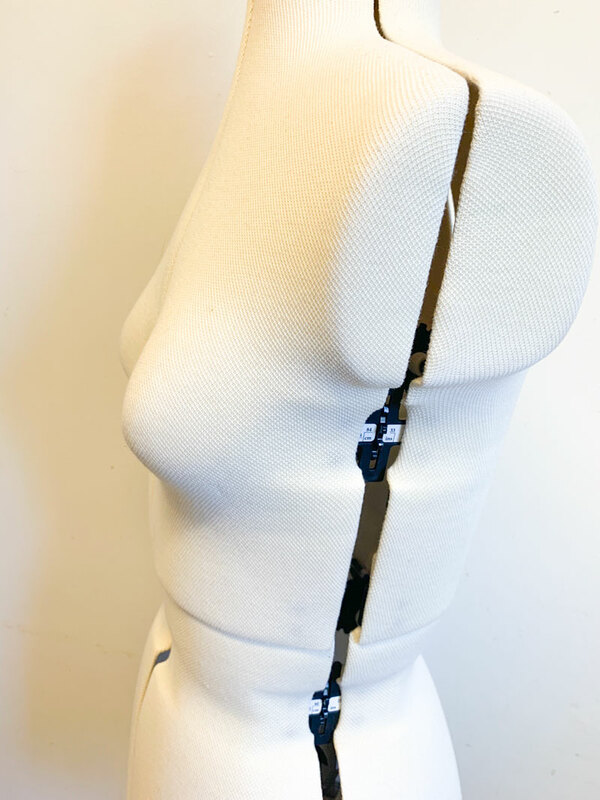 I did toy with the idea of sewing traditional interfacing. I liked the idea of employing some traditional skills but I agreed with myself that I was embarking on a big enough journey and that the fusible stuff would be just as good for what I was trying to achieve. 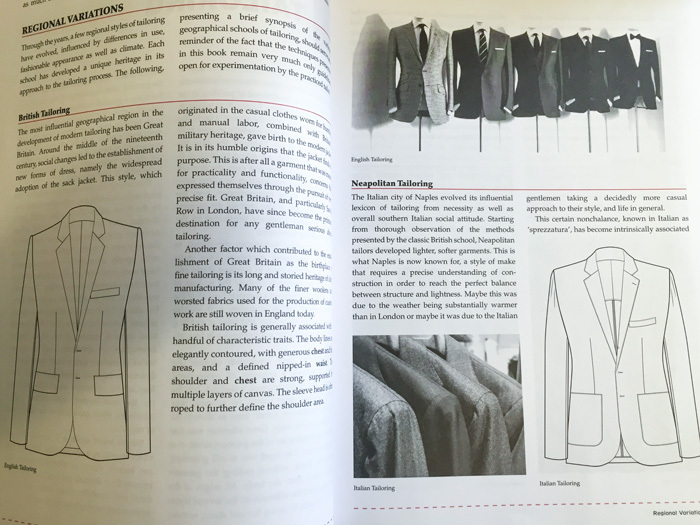 And so the interfaced pieces included: centre front; side front; outer collar stand; under collar; back facing; outer pocket flap; neck and armhole edge of centre back. The main construction of the body came together very easily. 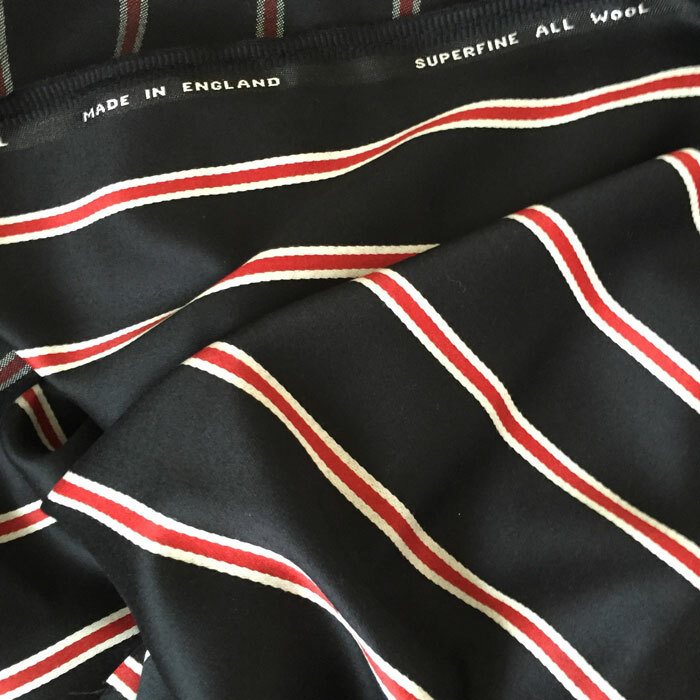 Darts seams and pressing. But then came my reality check. 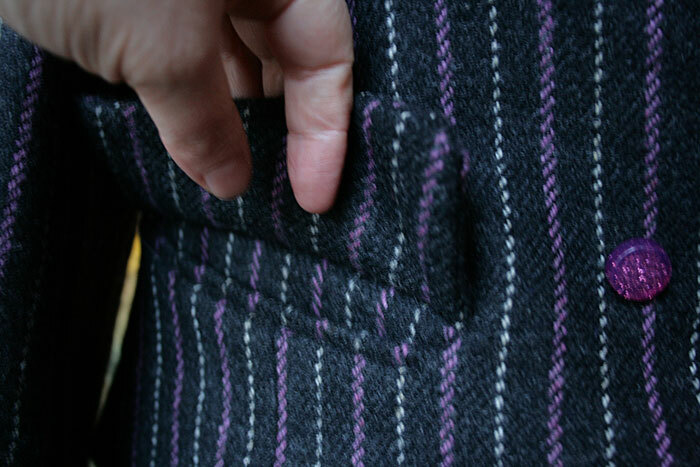 Welt pockets with flaps. Needless to say I practiced these before the real thing. You can see how I got on with this here. 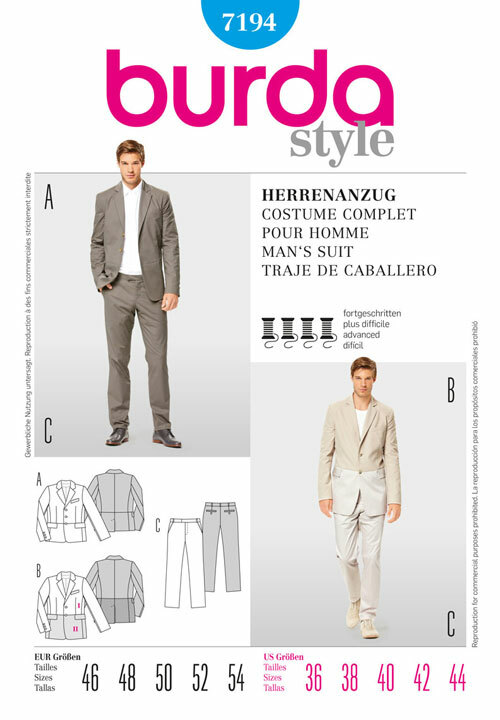 Well worth checking out YouTube or the Burda site for instructions. 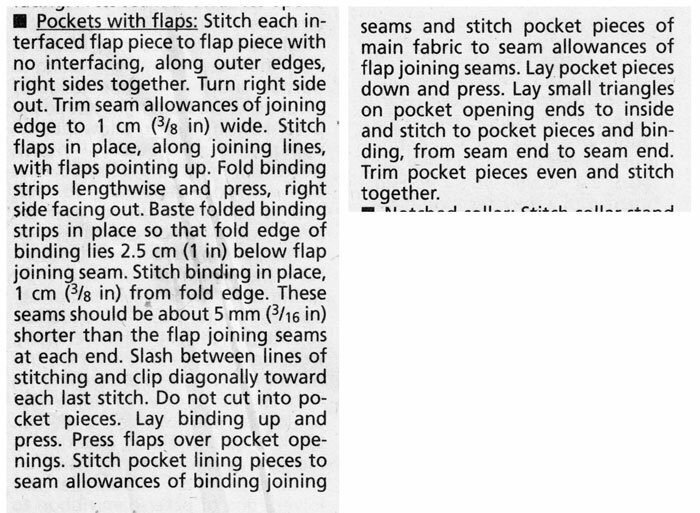 I challenge anyone to get the gist of welt pockets from the following instructions!! Or it could be just me!! I am over the moon at how they turned out in the finished fabric. I don’t intend to put anything in the pockets, for goodness sakes, don’t want to misshapen them! But I am so proud when I slip my hand inside. Feels so special! And no one gets to see that lovely welt under the flap, except moi! Though I have pointed it out to a few of my friends who smile loyally with raised eyebrows! 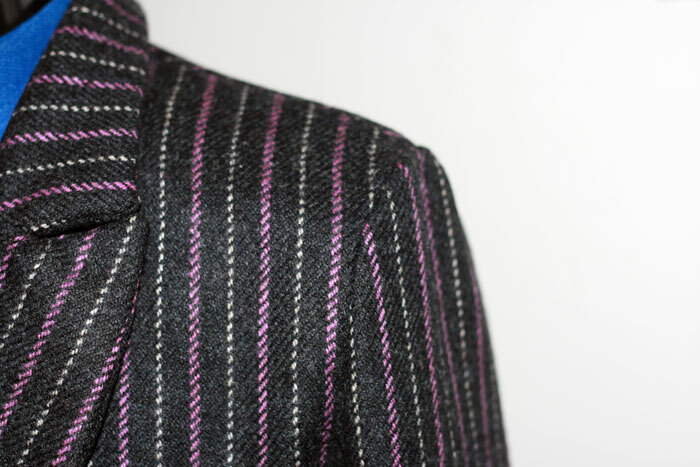 Next up was the notched collar. This was actually not as scary as I was anticipating. I did pin and I did baste before stitching and it all worked out just fine. The stitches sank invisibly into the wool when I machined the seam so I didn’t want to risk having to unpick at any point! 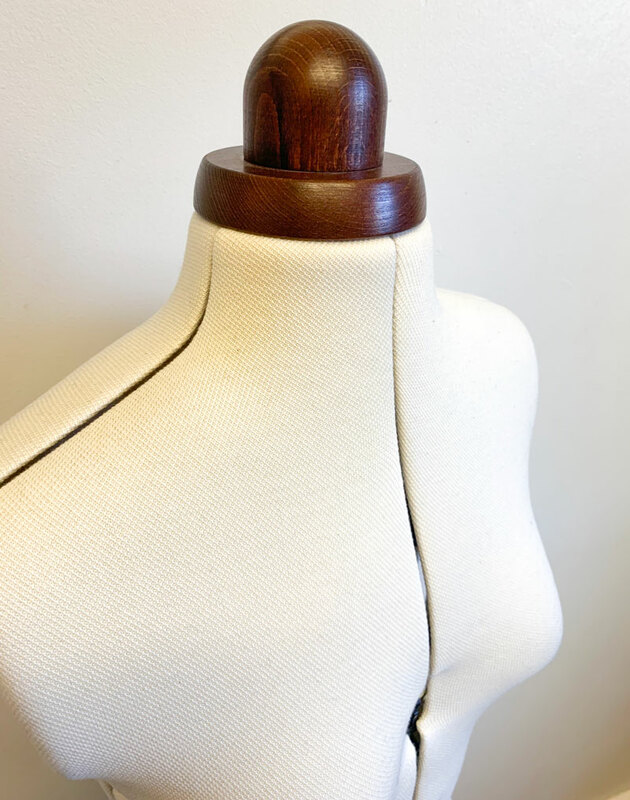 Neat trimming and clipping is essential and it is also important to take care when you ‘push out your points’ Very easy to push a pointed implement through the point of the lapel, (especially if you are using soft wool) and ruin everything. 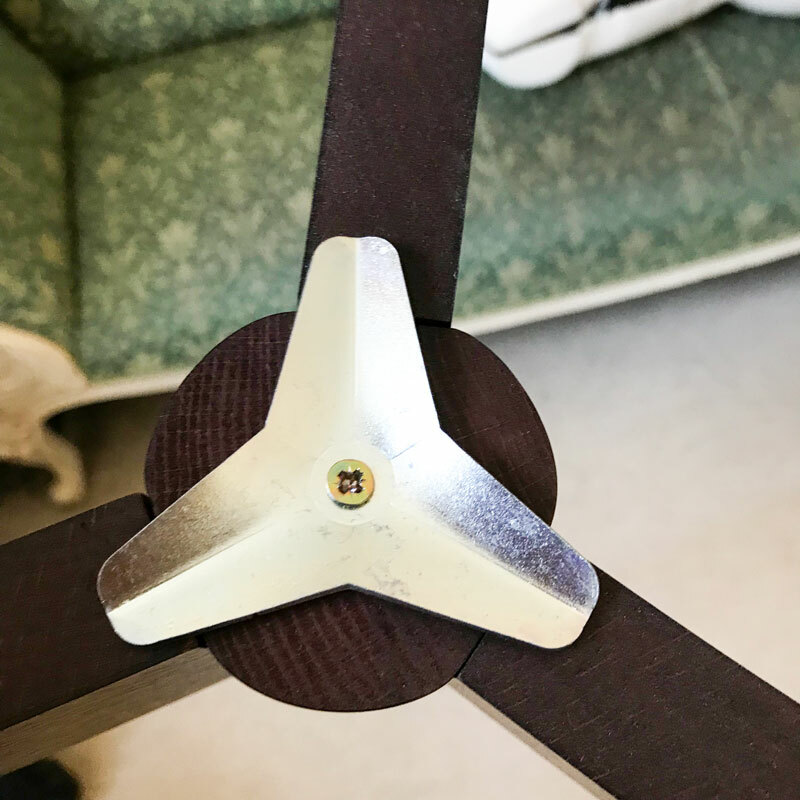 It’s worth being slow and patient with this part because it is such a lovely sharp feature. You’ll be really chuffed when it comes together at this point. 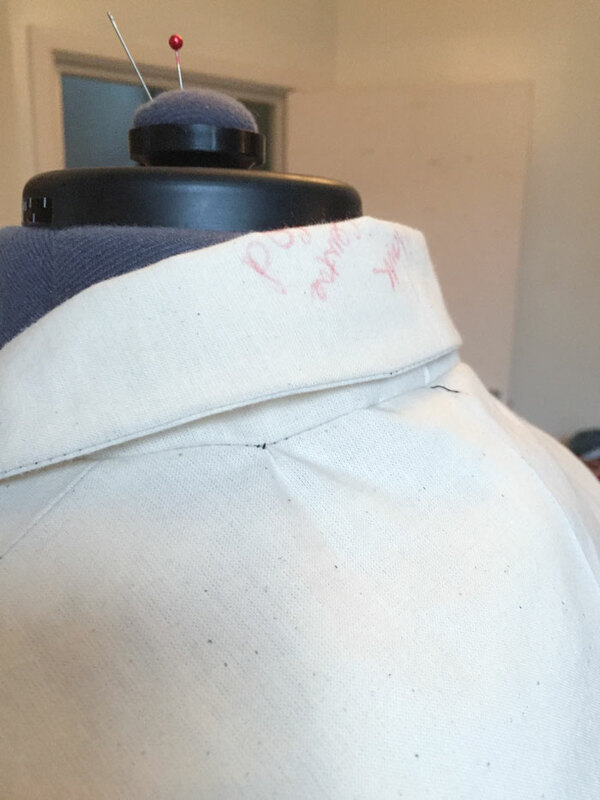 There was a suggestion to sew the pointed lapels to the underside of the collar to keep them in place but I didn’t really feel this was necessary for the weight of the fabric I used. I like being able to turn up the collar when its chilly! Now shall we talk mitred corners? I’m so glad these were included. It makes so much sense and makes such neat corners. Nothing else will ever do from now on! Of course it goes without saying that you won’t survive with these instructions, especially if this is your first time…! … so I went with these instead! I mitred the sleeve vents and the back vent in the same way. Though I had created a bit of a monster on the back vent by forgetting the extra allowance. Please don’t forget this!!! not enough SA on the vent but check out those mitred corners baby! 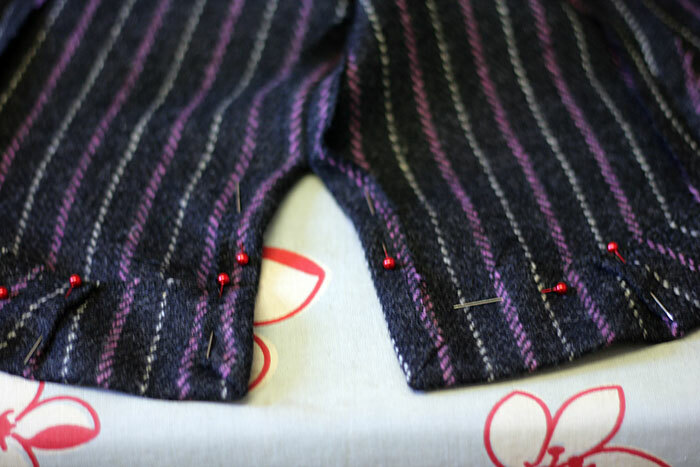 When I came to set in the sleeves I realised I had clean forgot a couple of notches. 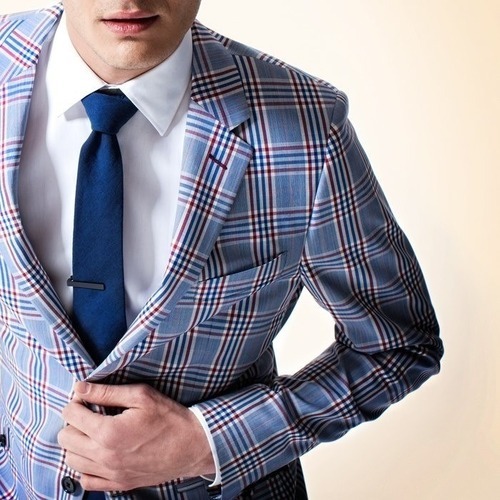 You will never work out how to inset those sleeves if you forget the notches, I can tell you. Mostly because I tried… and failed… 3 times!!! 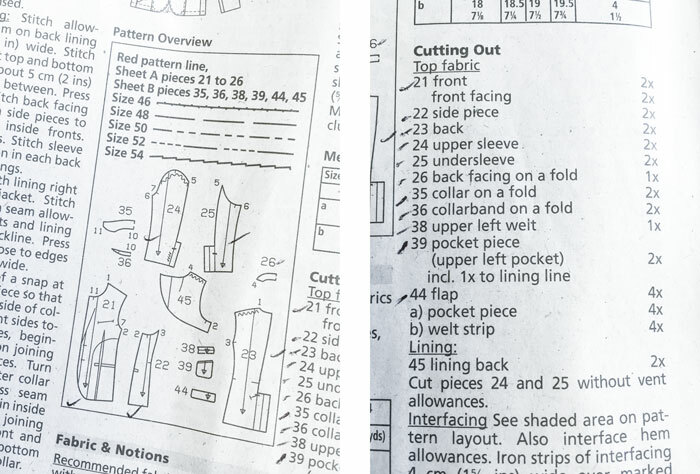 Till I relented and placed the pattern pieces over the made up sleeves and marked them. Once I’d put the shoulder pads in, I tried it on and grinned from ear to ear. I was definitely on the home straight! But one niggling factor was that I didn’t like how the sleeve just ‘hung limp’ off the shoulder. I had heard mention of sleeve headings before but obviously never had to take full notice. 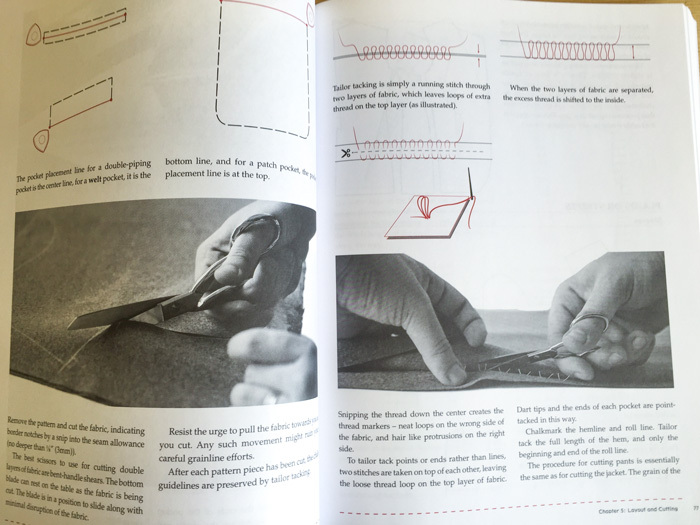 So I found this little tute in my book Readers Digest: New Complete Guide to Sewing. This book has been so useful and really didn’t let me down this time. 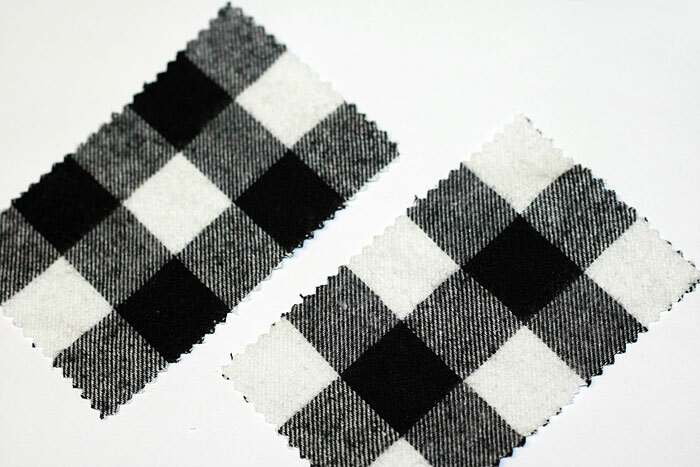 Cut 2 pieces of 3 x 5 in (7.3 x 12.5 cm) pieces of lamb’s wool, flannel, or polyester fleece. I had some leftover cotton flannel from my son’s pyjamas. Probably not as weighty or as poofy as lamb’s wool but it was better than nothing! Make a 1 in (2.5 cm) fold on long side of each piece. How lucky is this. My fabric had 1 in square pattern! Centre and pin heading to wrong side of sleeve cap with fold against seamline, wider half of heading against sleeve. Whipstitch fold of sleeve heading to sleeve seamline. Heading now supports and rounds out sleeve cap. The difference is subtle but is hugely important for my self satisfaction! 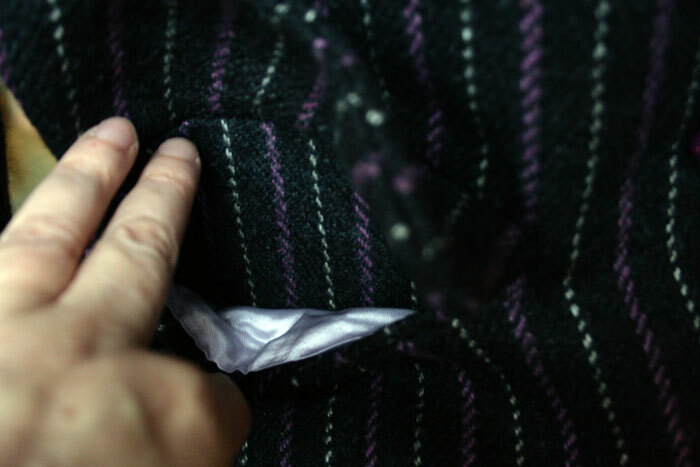 Before I lined the jacket I neatened and pressed all the seams. 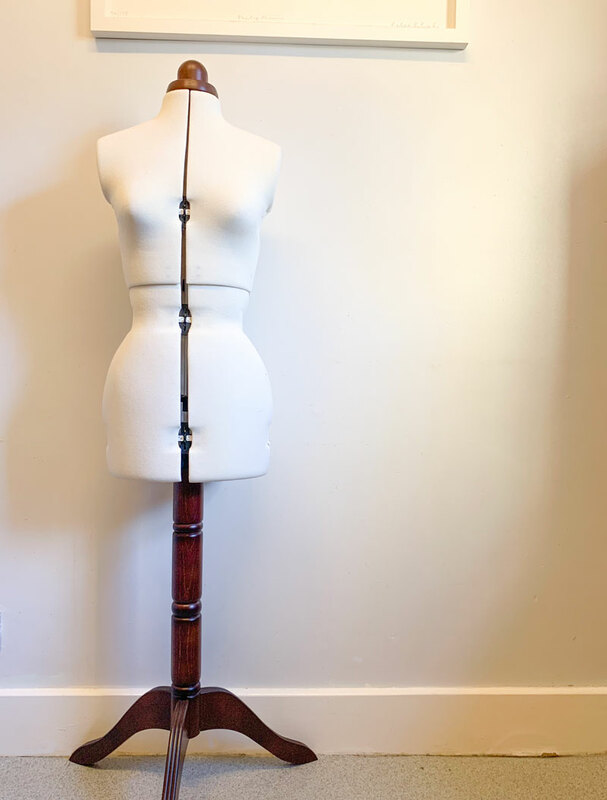 I did wonder if you have to neaten the raw edges, after all they wont show but I was worried about it fraying inside with wear and if it might eventually have a knock on effect to the seams coming apart. Probably over worrying but better to be safe than sorry was my own conclusion. But here presented my next concern. 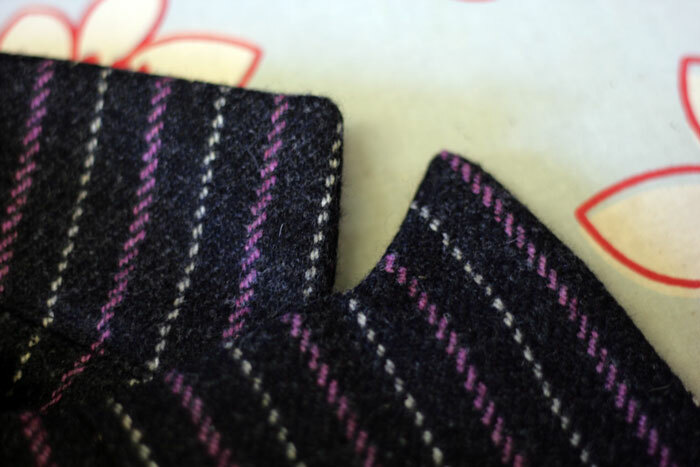 As much as I pressed this gorgeous wool, the seams would not lie perfectly flat throughout and I knew that would affect the overall shape and create a lumpy lining. And who would want lumpy lining?! So I decided to stitch the seams down, like a good tailor lady. But hey! 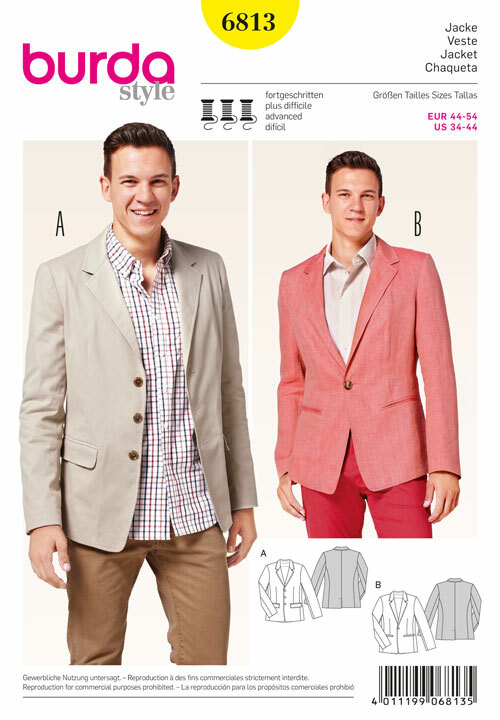 Guess what little tailoring trick was missing. NO UNDERLINING!!! Not that I have ever had to underline anything to date. But I have heard about it. I have wondered why you would want to but now it was blindingly obvious. My fabric was sturdy enough to live without it but how much easier would it have been to sew the seams down flat onto an underlining. 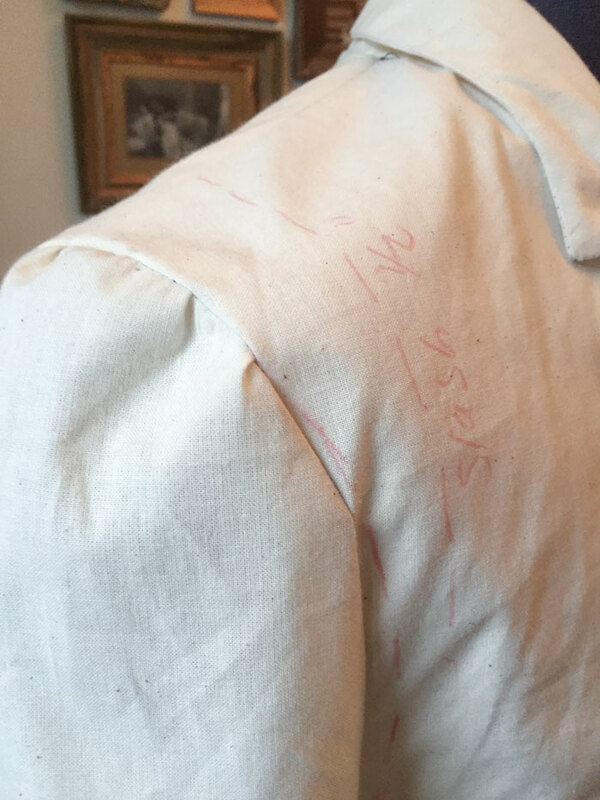 I will definitely underline next time I make a jacket and I wholly advise you to do this even if you think your fabric is sturdy enough. It makes sense you know!! Fortunately my fabric was quite thick with a forgiving texture! I found it was much easier to do, over my knee, whilst watching The Paradise! 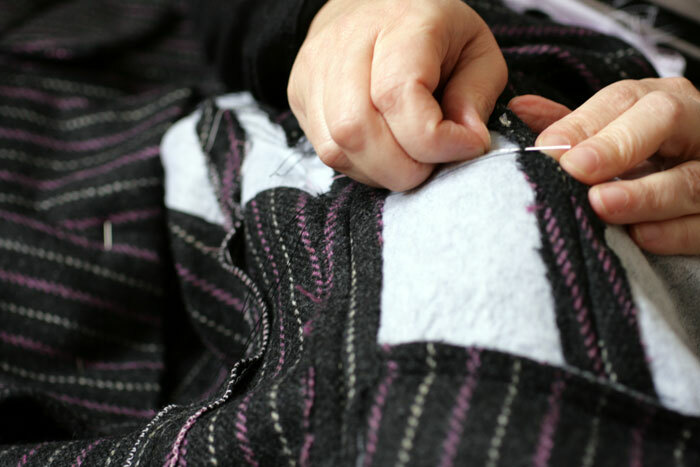 And also safer to stitch onto the interfaced pieces. So then came the lining. I had pondered a silk lining but the lilac poly satin I found was so lush I looked no further. So long as you remember your ‘ease pleat’ in the centre back, you can’t go far wrong. I can’t give to much advice about this stage because I kind of winged it!!! 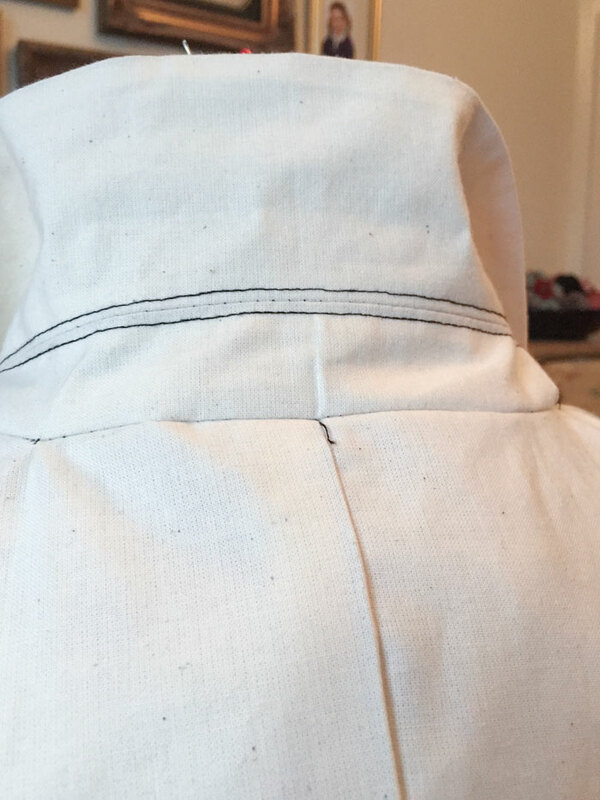 But what I did remember to do was to push the lining up to the hemline of the outer fabric and roll it down over itself to create more ease and allow for shrinkage. Not that poly lining shrinks but I think its general practice! I did the same on the sleeves. I’m not sure I lined the vents on the sleeves properly but it works… of a fashion! The buttons were a lucky find, though I was gutted I couldn’t find smaller coconut shell buttons. The two pictured here were way to big even for the front! So sparkly resin shank buttons it was. Lucky to find them in 2 different sizes at Shepherds Bush market. 20p each… a snip! I WILL find a perfect use for those coconut shell buttons! 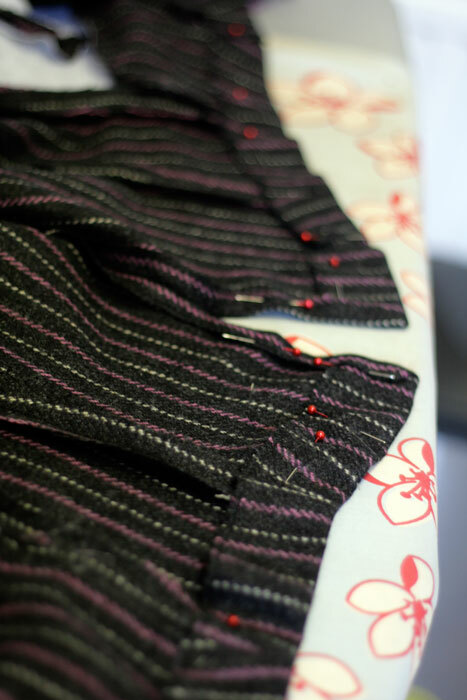 I created the buttonholes on the machine. Holding my breath as I did so. You know how it is. 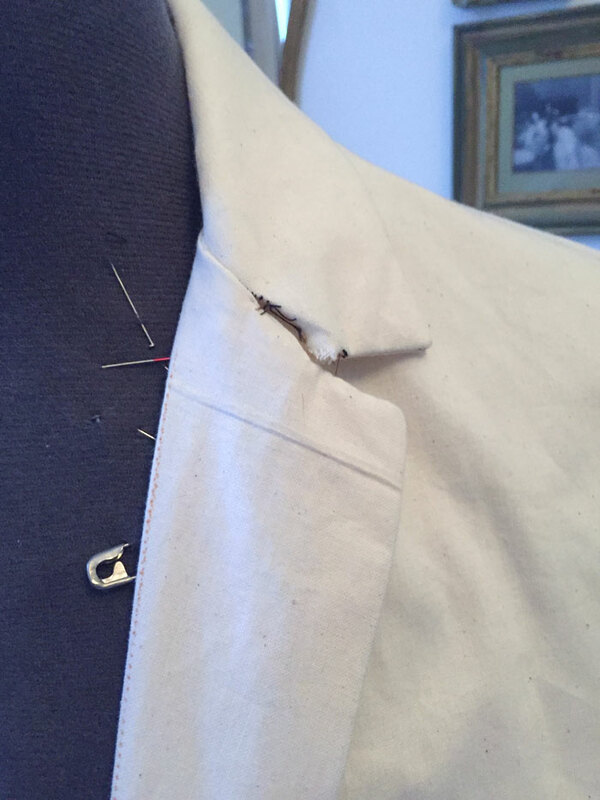 There’s always a chance of a wayward buttonhole! But next time I would love to try bound buttonholes. Karen did such a beautiful job with hers and I bet it feels far more special to button up with bound ones! Well here ends my waffly post of niggles. I hope to have been of some help and not too much of a waffling bore! Well, from the very beginning would probably be a good idea! 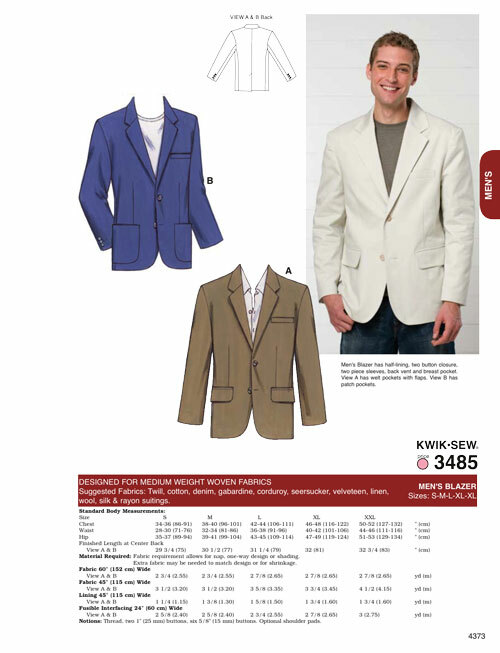 I started this jacket way back in February but was wearing it in my head from the first time I saw it in Burdastyle mag 11/2012! I completely ignored the number of coloured circles which indicate level of difficulty. Half a circle short of the most difficult… how difficult would that be?! It transpires that it wasn’t particularly difficult, once I’d deciphered the 2 magazine columns of instructions, though my strops might have suggested differently. I really don’t respond well to written instructions as much as pictorial ones! I will do a follow up post with all the niggly construction bits but for now I am so happy to present the finished jacket that was kindly and so brilliantly shot by Mr Ooobop! today. 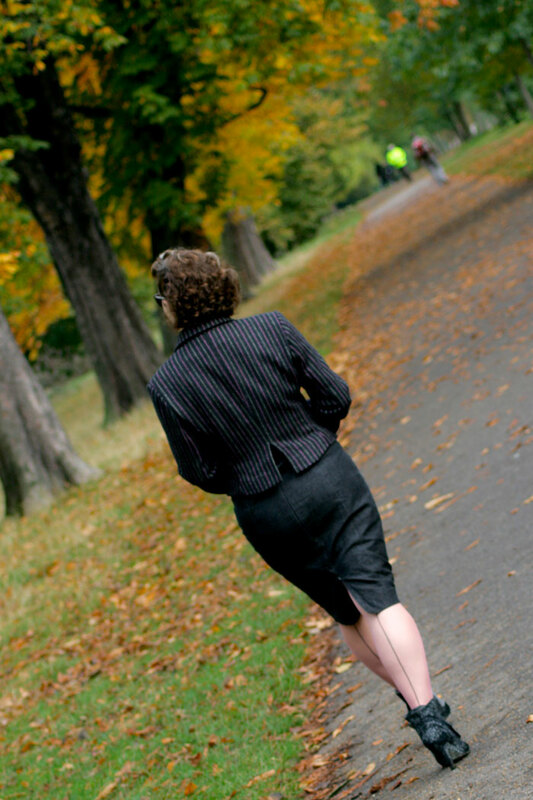 Kensington Gardens provided an amazing autumnal backdrop, despite the lack of sunshine and we had a lovely stroll while Little Miss Ooobop! went to a bowling party at All Star Lanes. 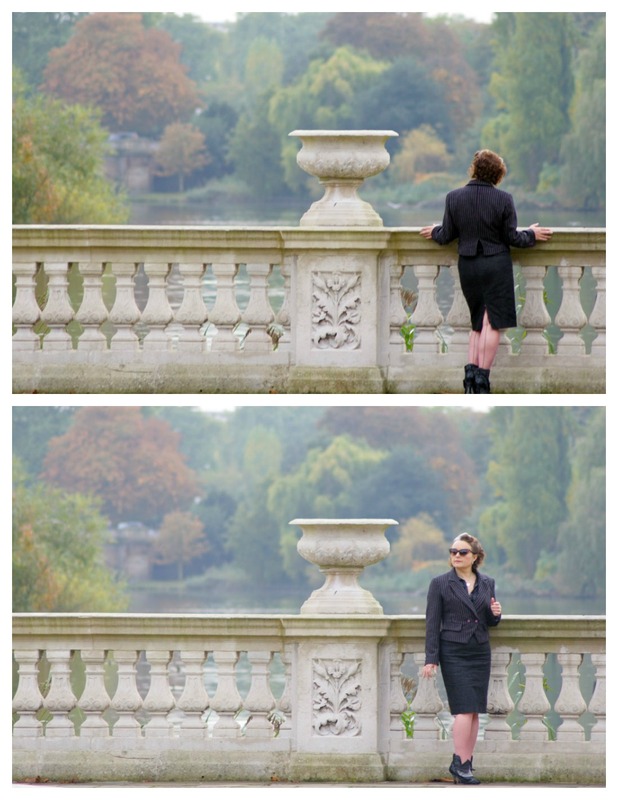 These were taken at the Italian Fountains near Lancaster Gate. It was lovely and misty but still the colours of the trees were beautiful. 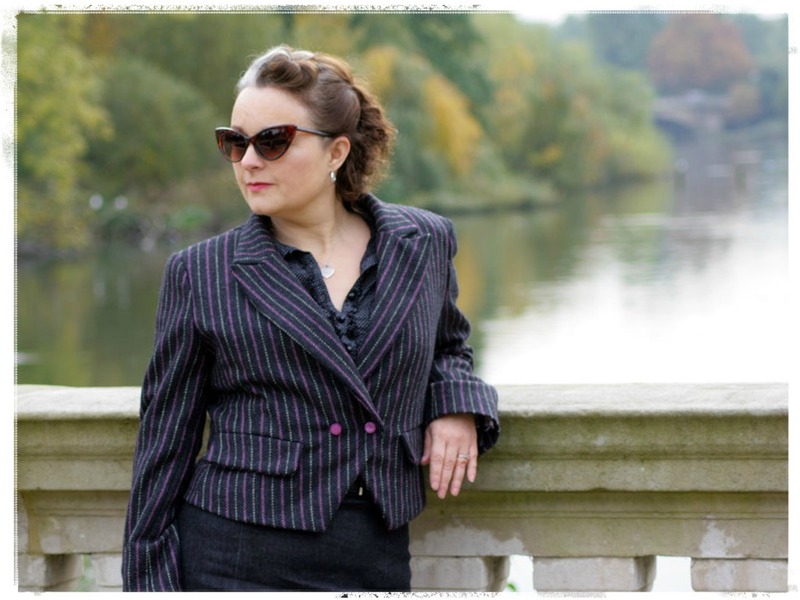 Despite the lack of blue sky, my trusty photographer was determined to make use of the gorgeous colours and he got some great detail shots too. I’m so loving the sparkly raspberry buttons! Besides being so happy to have finished and be wearing my jacket, today also proved how we take for granted all the beautiful open spaces that London has to offer. So many on our doorstep. Must get out more often! Wishing you all a wonderful weekend. I’m off to find a tiny project!